Could the Boston Bruins Actually Benefit From Flawed Playoff Format? The NHL’s playoff format is heavily flawed; there’s no denying that. It gives as much weight and sway to geography as it does actual results, frequently pitting two behemoths against one another in the first round while two featherweights have a pillow fight, all in the name of the ratings boost that comes along with a good rivalry matchup in the postseason. As much as I enjoy a good rivalry, I enjoy the inherent merit found in sports far more. In a world that is becoming increasingly subjective, where misconceptions and opinions carry undue weight (a world wherein public figures freely admit to believing the Earth is flat), sports exist as a last bastion of sorts. The world of sports is a place where people can point to a team and confidently exclaim that they are the best because they are quite simply the last team standing. They had beaten everyone in their path. It wasn’t left to a vote. It wasn’t a popularity contest. The proof is in the pudding. And yet within the world of professional hockey, the best league on the planet has a system in place that undermines that merit. A system in which the number two and three seeded teams will likely face one another in the first round of an eight-team conference playoff field for the third time in the format’s five year history. 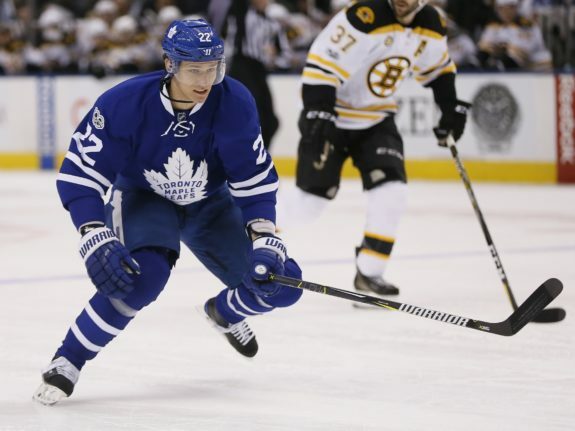 The Boston Bruins appear destined to draw at least a part of this year’s screwjob, set to face the third-seeded Toronto Maple Leafs in a first-round series which figures to have major Stanley Cup implications. According to Las Vegas, the two currently sport the second and sixth-best odds of lifting the Cup at season’s end and yet one is guaranteed to be golfing before the calendar even shifts to May. But what would you say if I told you that a daunting first-round matchup could actually be a good thing for the Bruins, provided they make it out of the first round alive? Last year, the defending champion Pittsburgh Penguins finished the regular season with the second-best record in the Eastern Conference. 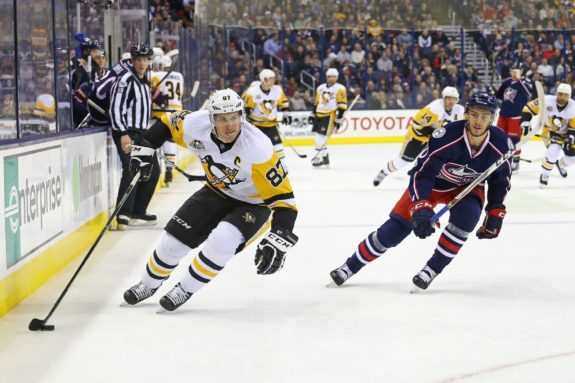 It also happened to be second-best in their own division, however, meaning their reward for putting together a 111-point regular season was a first-round matchup with the third-best team in their division, the Columbus Blue Jackets. But those Blue Jackets had racked-up a franchise-record 108 points, giving them the third-best record in the conference as well; a testament to the Metropolitan Division’s dominance last season. Traditional one-through-eight formatting would have given both clubs home ice advantage versus a lesser foe, but the current format set them on a collision course for one another. Pittsburgh won the series in five games en route to its second-consecutive Cup victory. The Penguins received a similarly-difficult first-round matchup the previous year as well, drawing the fourth-seeded New York Rangers. Pittsburgh used their five-game victory over a division rival as the catalyst for their first Cup win in nearly a decade. That same year, the St Louis Blues and Chicago Blackhawks finished with the second and third best records in their conference and division and therefore faced-off in round one. The Blues emerged victorious in an exhilarating seven-game series, leading to a deep run which ended in Game Six of the Western Conference Finals. 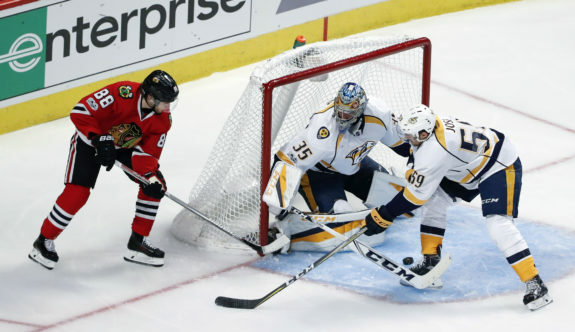 The Blackhawks drew a tough matchup the previous year as well, clashing with the fourth-seeded Nashville Predators as the third seed themselves. Chicago bested Nashville in six games on the way toward their third Cup win in six seasons. And in the first year of the current format, the fourth-seeded Montreal Canadiens used their first-round sweep over the third-seeded Tampa Bay Lightning as the spark for a run to Game Six of the Conference Finals, upsetting the heavily-favored and Presidents’ Trophy-winning Boston Bruins in the process. What Does It Mean for Boston? In the current playoff format’s four years of existence, five first-round matchups have featured a “too soon” meeting of juggernauts in the first round. In three of those instances the victorious club went on to win the Stanley Cup. The other two winning squads made it to within two wins of a Stanley Cup Final appearance. That’s an awfully encouraging track record to remember whilst considering how arduous Boston’s path to the Final figures to be. Provided they make it out of the first round, that is. It suggests that good teams that emerge victorious from a heavyweight bout at the onset of the playoffs can use the established compete level and subsequent jubilation of victory as a springboard to greater success. Think of the emotional high and confidence gained in 2011 after the Bruins dispatched their most bitter rivals in overtime of Game Seven. Or how thoroughly the 2004 Red Sox dominated the St Louis Cardinals in the World Series following their epic, historic comeback over the hated New York Yankees. 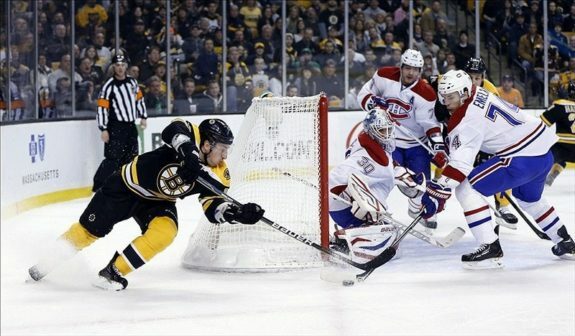 Now think about the relative-ease with which the 2013-14 Presidents Trophy-winning Bruins defeated the bottom-seeded Detroit Red Wings before running into (and succumbing to) a red-hot Montreal squad. Perhaps diving into the deep end and living to fight another day is more conducive to extended postseason success than dipping one’s “toesies” into the pool to first check the temperature. The playoffs are a battle; it’s better to get into that mindset sooner rather than later. The season series between the Bruins and Leafs has ended, with the B’s posting a 1-2-1 record versus their division rivals. Each team won a one-goal contest and each team won a game by three goals; the two are about as evenly-matched as it gets. However, a larger sample size gives a more-than-slight edge to the Leafs, with Toronto winning all four of last season’s meetings. Moreover Boston’s February 4, 2017 loss served as the final nail in Claude Julien’s Black and Gold coffin. Regardless, this season’s collision-course figures to have significantly more to do with seeding and home ice than last year’s results. Currently, the Bruins enjoy a five-point cushion on the Leafs, with four games in hand. Should the B’s maintain their lead on Toronto and thereby lock-up home ice for the series it could very well be the difference between a banner and a tee time. The Leafs are a fearsome foe at the Air Canada Centre, where they’ve compiled a record of 22-8-2. But beyond the friendly confines of their home barn they’re a vastly different team, posting a pedestrian 17-14-5 mark; that’s a pace of 89 points over an 82-game season. Weigh that against Boston’s own road record of 18-8-4 and it becomes increasingly clear that the series advantage would swing heavily in Boston’s favor should they be able to weather the recent storm of injuries and maintain second place within the division. If the season ended today under a more traditional playoff format (one-through-eight), the second-seeded Bruins would be taking on the seventh-seeded New Jersey Devils. Now, gun to your head, if you had to choose an opponent for the Bruins you would choose the Devils, correct? And why wouldn’t you? Boston has defeated them all three times the’ve played this season and, Taylor Hall’s Hart Trophy candidacy notwithstanding, the Devils boast significantly less firepower and match-up headaches. But no such choice or chance exists, given that the NHL believes that geography is of comparable magnitude and importance as merit and results. Until the system gets the tweaks and fixes it needs, we will continue to see top-tier squads unfairly pitted against one another in the first round. The road to the Final won’t get any easier beyond the first round, with teams like Tampa Bay, Pittsburgh and the Washington Kryptonites (I mean “Capitals”) lurking on the horizon. But if there is a silver lining to glean from all of this, it’s that in four short years there is already an established precedent which suggests the Bruins might ultimately be better off receiving such an unfavorable first-round draw. Provided they make it out alive, that is.